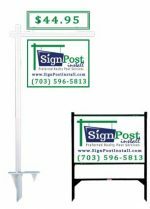 Install – Post Plus+ | SignPost Install Inc.
All Inclusive Sign Post Install. 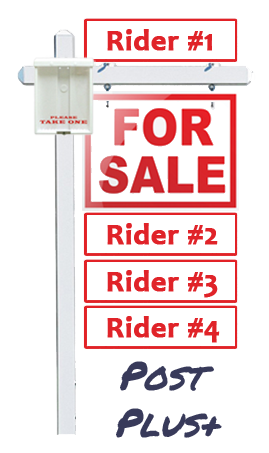 Includes our installing your sign panel, our sign rider of your choice and a flyer box if needed. Note: Unreturned Sign Riders that we provide will be charged at $10.00 each. 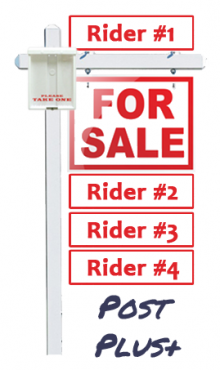 All riders must be outside the home for pickup when the removal is ordered, preferably on the ground next to the signpost. You must be logged in to order your sign post. Login or create your free account HERE. The installation and later removal of . . .
*The installation post rental period is a 9-month term or until the listing is sold or withdrawn, whichever comes first. 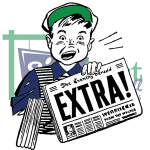 If your listing requires an extended term after the first 9-months we have very low term extension for $25. The cost charged for this order includes the cost for the removal later. Please review our Lost, Damaged or Unavailable Fees Page.